Sketchfab Community Blog - Sketchfast #5: Monsters University! We are thrilled to announce our 5th Sketchfast modelling competition! Pixar is one of the most renowned 3D Animation companies in the world. Films like Toy Story, Finding Nemo and Brave have set the bar for animation for each new generation. Sketchfast #5 is about celebrating Pixar’s upcoming release – Monsters University. For this weekend’s challenge, we would like you to imagine and create a new character that fits into the Monster’s world. This model could be made for games or CG quality production. We’re looking for characters that are visually appealing and could easily fit within their universe. Selection will be made according to the quality of the realisation and the originality of the concept. 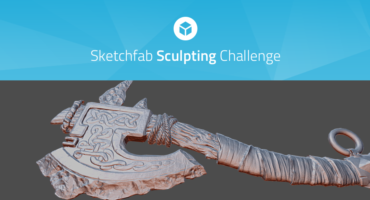 upload your model on http://sketchfab.com (free registration). Can’t wait to see what you’ll come up with!